The Book of Ruth is one of the many beautiful and touching stories of Holy Scripture. Within it lies the history of a nation, the history of a family, the history of a soul. Ruth the Moabitess, a poor Gentile, came into blessing through and with that wonderful man, Boaz, "the mighty man of wealth." Her story sweetly illustrates the gospel¬ - how a poor sinner may find rest and peace in Christ, the true Kinsman and Redeemer. 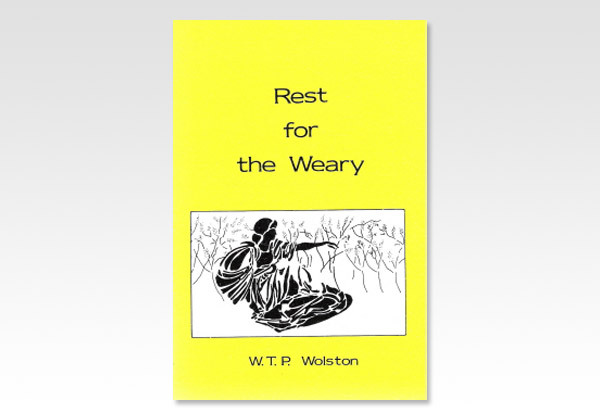 Mr. Wolston's books and tracts have been much used in presenting the gospel simply and clearly so that anxious souls have found peace in reading them, and the careless have been awakened to their need of Christ. Young Chris¬tians find much help from them in presenting the gospel to others.